She needs no intro. She is daughter of Rishi Kapoor and Neetu Kapoor, sister of Ranbir Kapoor. She is none other than Riddhima Kapoor Sahni. I can't believe that I finally managed to interview her. Thanks to Riddhima and her great team for cooperation. Without their support this interview couldn't have been possible. 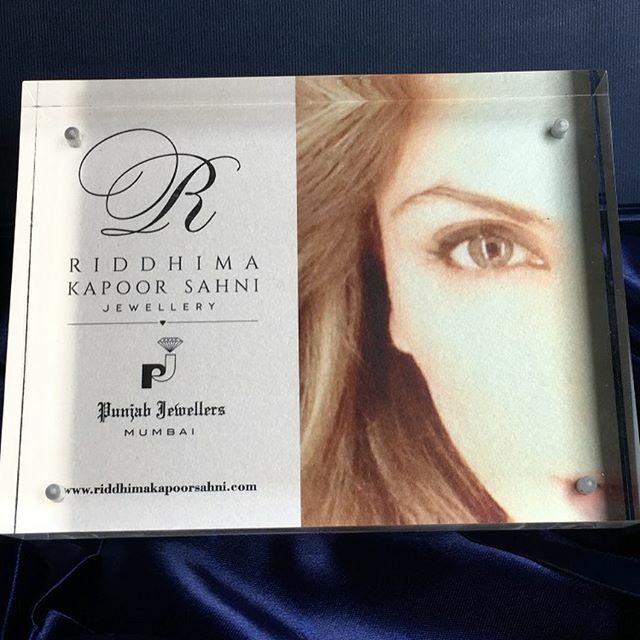 She has launched her own Jewelry line under brand name "R" with her friend and business partner Mr. Anuj Kapoor of famous Punjab Jewelers from Mumbai. Her designs are beautiful and I am absolutely in love with them. I like the fact that she wants to create her own identity. She is married to Bharat Sahni and have a beautiful daughter of five years. Her brand is like her classy and elegant. I really enjoyed interviewing her. Why Jewelry not anything else? Who & What motivated you to launch your jewelry line? Did you took any professional training? What other preparations you did when you decided to launch your own brand? What all (metal/stones) you use for your creations? You are from a famous & rich family. Does your grandmother or mother's jewelry fascinated you? Share some jewelry moments of yours. How many hours in a day you devote to your passion? How does your normal working day look like? You are a celeb in your own way. How does that help in your business? What kind of jewelry you prefer for daily basis, parties, weddings, family functions? Any ornament which you always wear? What is that one piece of jewelry that you have gifted to Ranbir? What are you planning next for your brand? I hope you guys like her interview. I absolutely loved it. Stay tuned for more interesting posts. That's amazing. Her style has always been classy. Hi Megha, loved reading the interview. Great going. 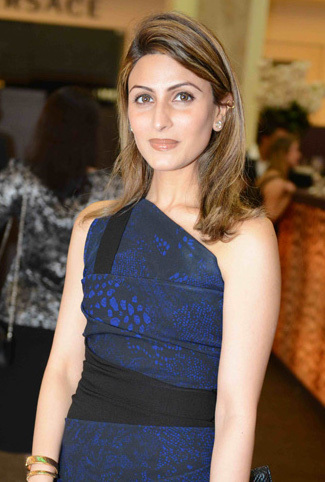 Actually I recognized Riddhima because I had seen her in Vogue and other magazines for a famous Jewelry brand. Good to know about her own jewelry line too!